One question which always makes me chuckle is where Adam and I went for our honeymoon. 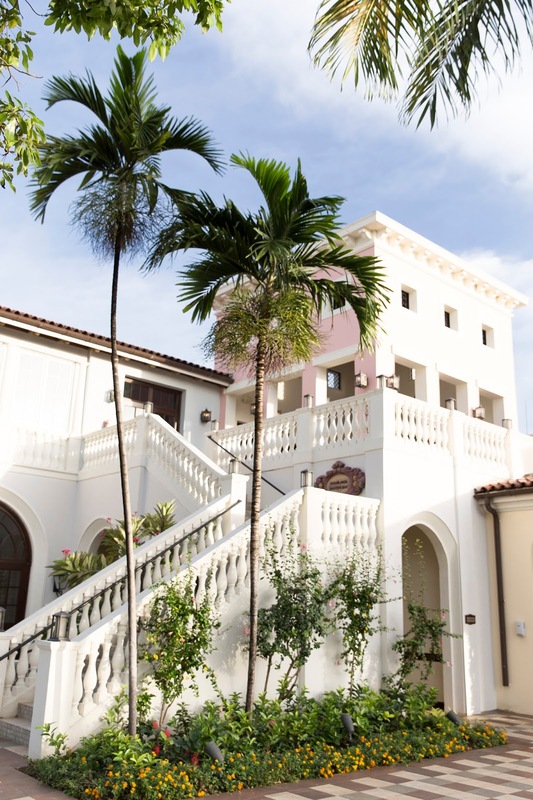 To say our honeymoon was a bit of a bust is no joke: we booked a questionable property in Miami in the middle of hurricane season and spent most of the week without power and soaking wet from all the rain. 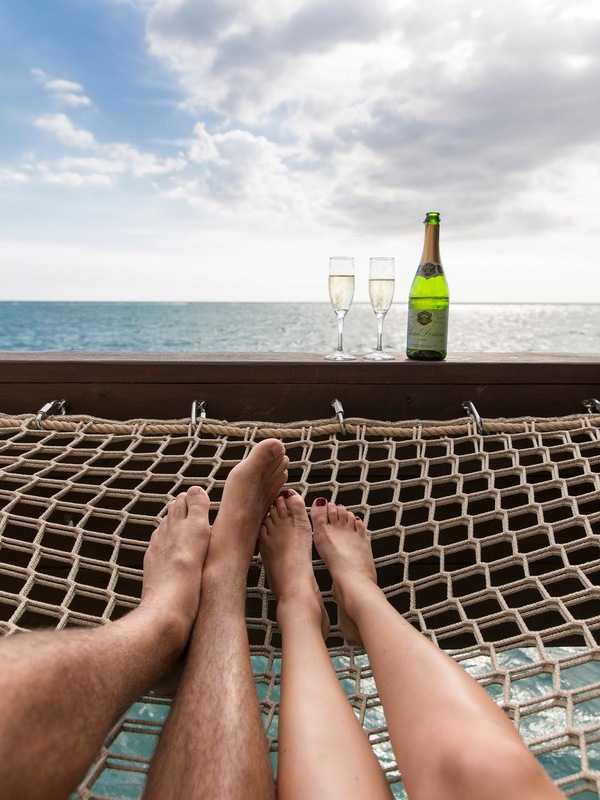 We’ve always joked that we’ve spent every year making it up with amazing vacations. 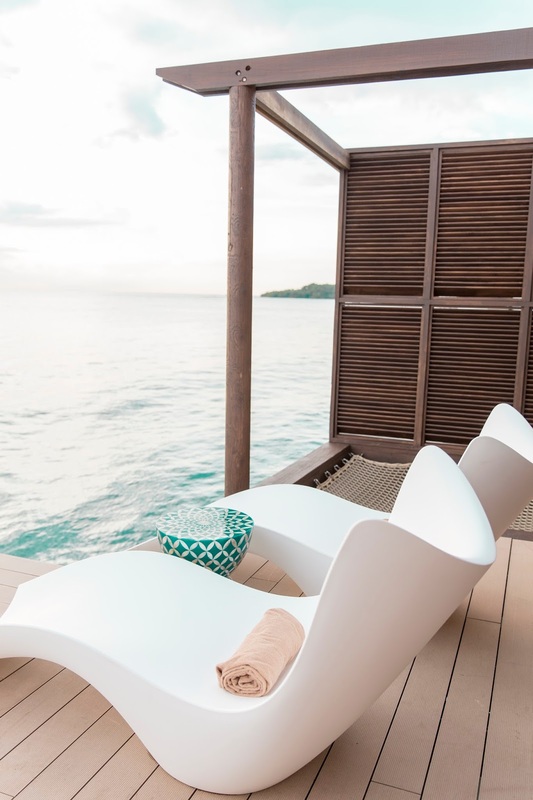 While we love exploring cities like Istanbul, Marrakech, Barcelona and more – there’s something to be said for a relaxing beach vacation. 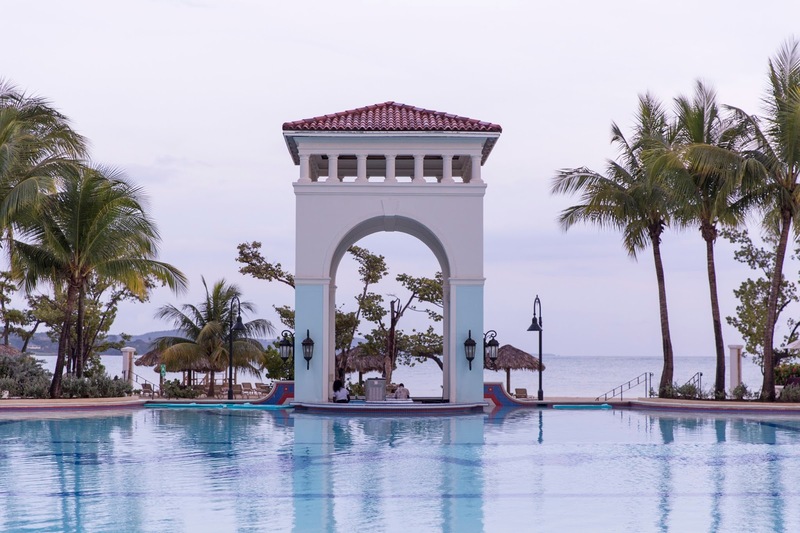 When we were invited to stay at the Sandals South Coast property in South Coast Jamaica (about 90 minutes outside Montego Bay), we were certainly intrigued. 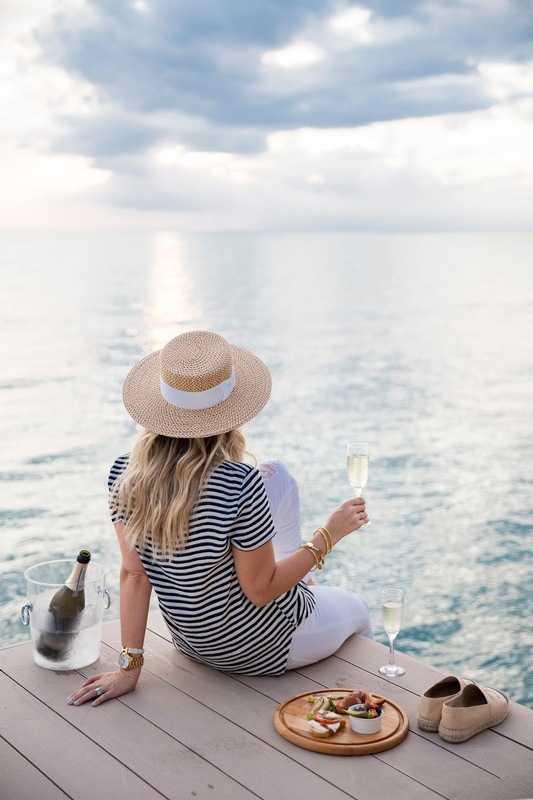 With the Maldives or Bora Bora on our wish list, getting to these destinations isn’t exactly a hop, skip and a flight away. To think we could stay in similar accommodations on a non-stop flight (at less than 5 hours), we were immediately checking in with work to see when we could get to this new property. 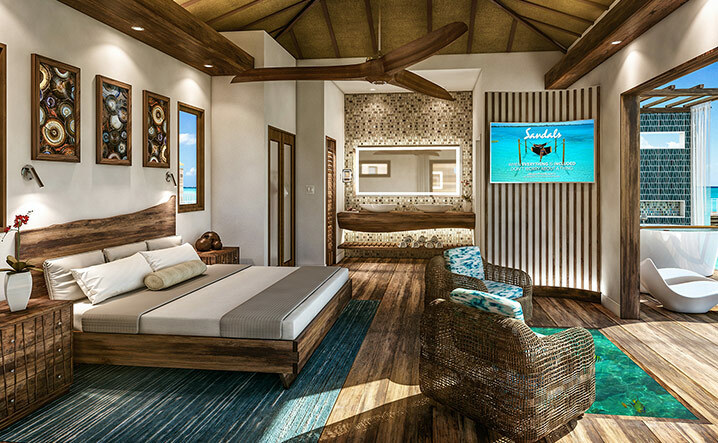 Opening in the beginning of December 2017, Sandals South Coast is the third property to welcome the over-the-water-bungalow suites. 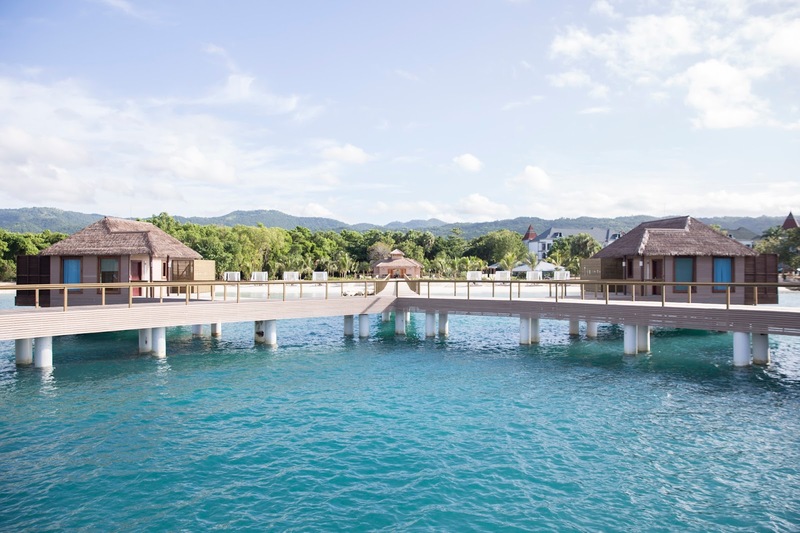 Their sister properties in St. Lucia and Sandals Royal Caribbean (also in Jamaica) also feature these stunning accommodations. 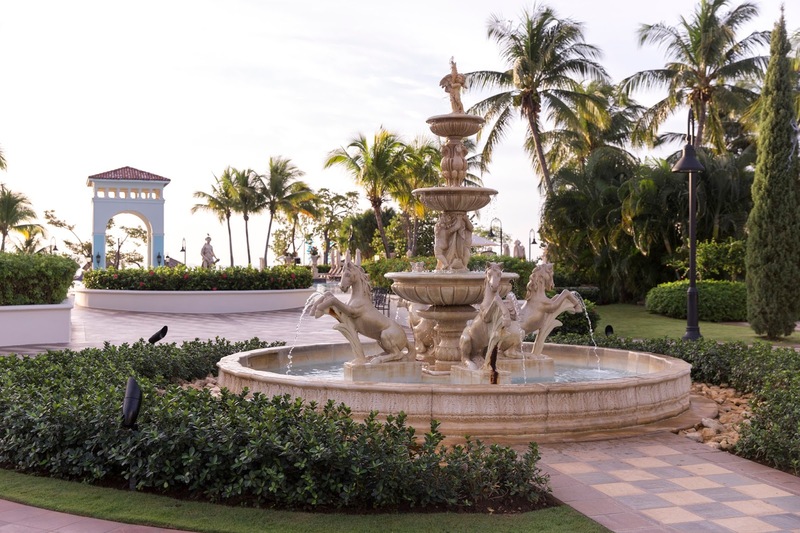 With many airlines offering direct flights, we landed in less than 5 hours at the Montego Bay airport. Met with a greeter, we were escorted through the customs process with our own assistant and taken to the Sandals booth within the airport. A rum punch and bottle of Red Stripe later, we found ourselves in a brand new 7-series BMW and a personal driver en-route to the property. Oh and let’s not forget the car was stocked with fresh fruit, chilled water, champagne and snacks. When any vacation starts off with this much attention to detail, you know you’re in for a treat. 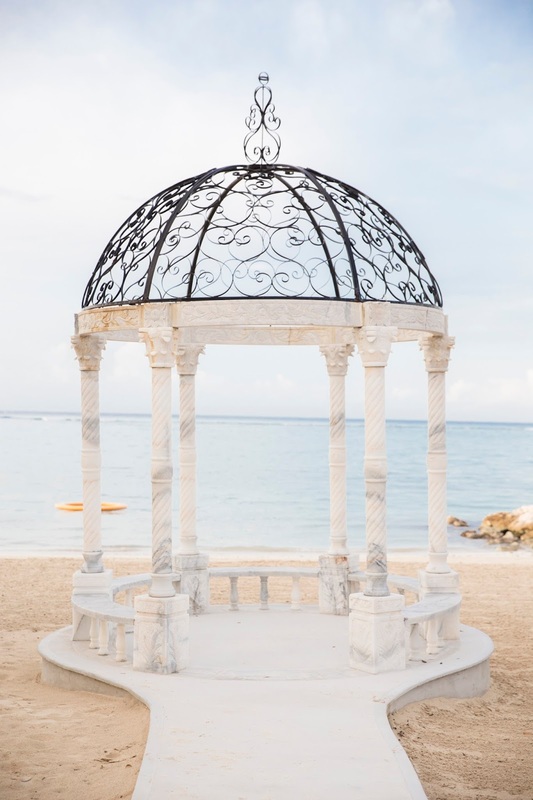 Traffic can be hit and miss in the Montego Bay area so anticipate a drive time of up to 2 hours to the property if you land in or around rush hour. 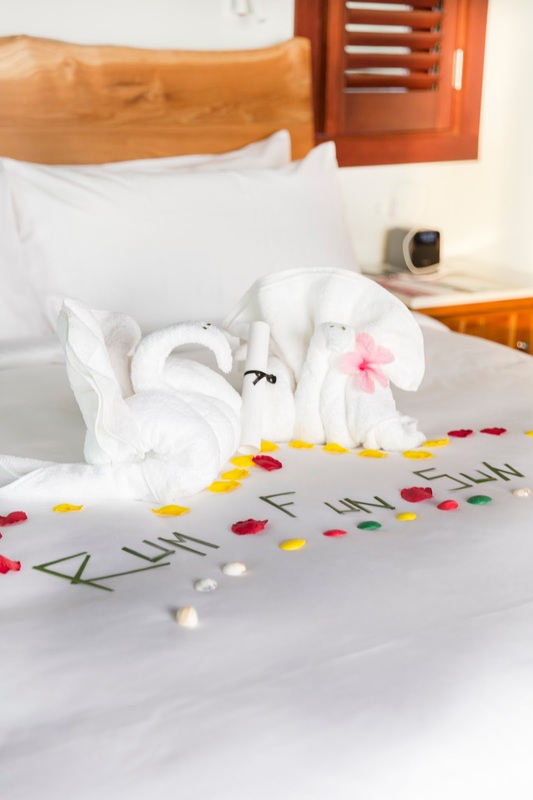 We were warmly greeted by the staff at Sandals including the team (yep, I said it – team!) of butlers that would be taking care of us during our stay. 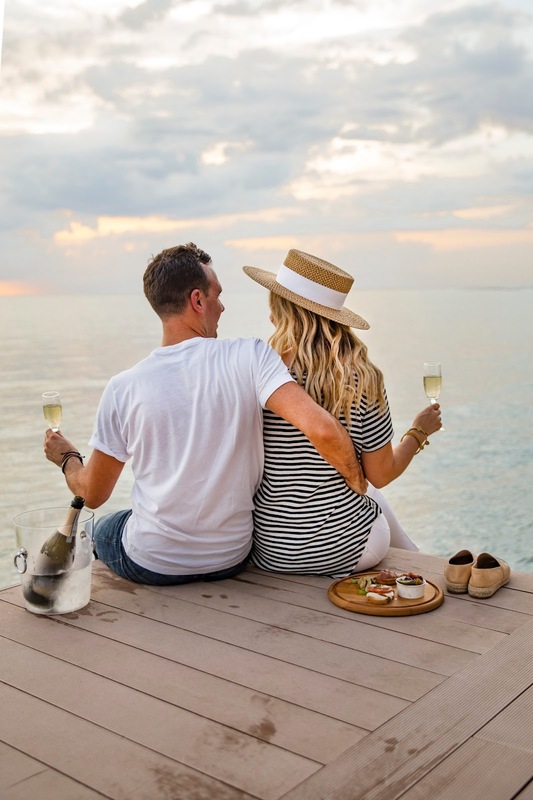 As we were driven (in a golf cart) to our bungalow, they were sure to point out the restaurants on site, suggestions on what to order, activities we could participate in, where to locate the bar and of course an introduction to our suite. In partnership with the Guild of English Butlers, the Butler service is like any other we’ve experienced at any other property. We met Tiffany and Fabian who let us know they’d be more than happy to assist with anything we’d need during our stay. Just some of the services they were offered included: the overseeing of our check in and check out, arranging for your dinner reservations, a refresh on your drinks (either at the beach or poolside), collect laundry, unpacking your luggage, arrange for any romantic dinner set-ups, expedite any room service orders and that’s just to name a few. 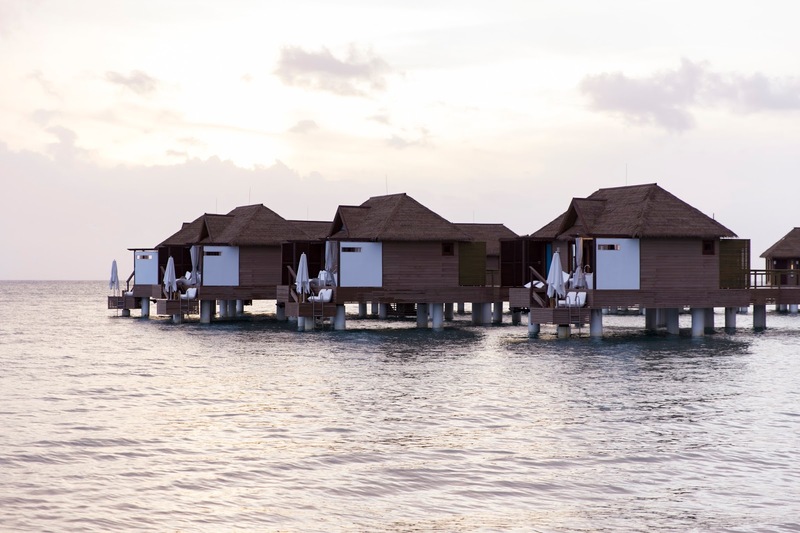 After getting out of our golf cart and catching a glimpse of the bungalows, I had an actual jaw-dropping moment. 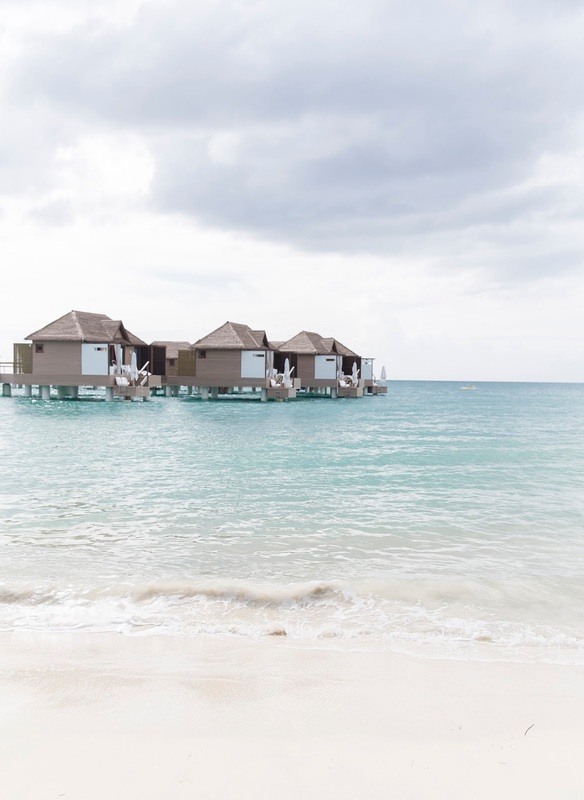 From the crystal-blue water to the dreamy walk down the boardwalk to each individual room, it was something straight out of a magazine ad. Upon walking into the room, the suite features a refrigerator, and stocked bar with premium spirits such as Hendrick’s Gin, Mondavi Wine, Grey Goose Vodka and more. You’re then lead into a space room with chairs, a King size bed, closet, enclosed toilet area, his and her sinks and an oversized shower. Our favourite part of the interior was the see-through glass floor, which provided access to the turquoise blue waters beneath the villa. Every morning I enjoyed my coffee while watching the fish and Adam swim by! 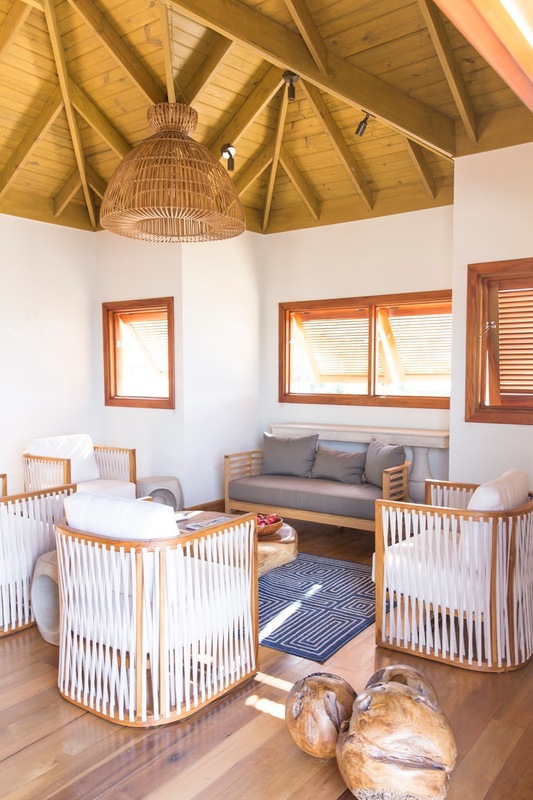 And just when we thought our expectations had been blown away, Fabian opened the curtain and led us outside… the oversized patio included an outdoor shower, tub, lounge chairs, hammock and two oversized chairs and a snorkelling equipment. 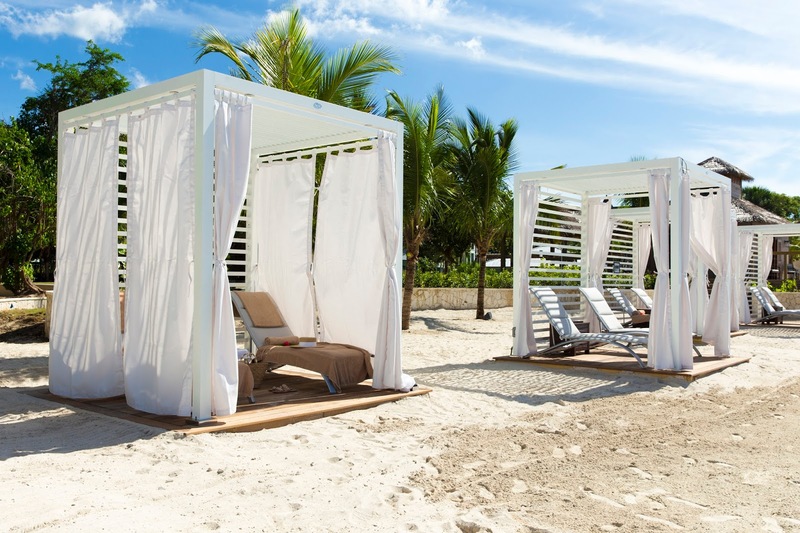 Aside from the private cabanas, this is where we spent majority of our time. 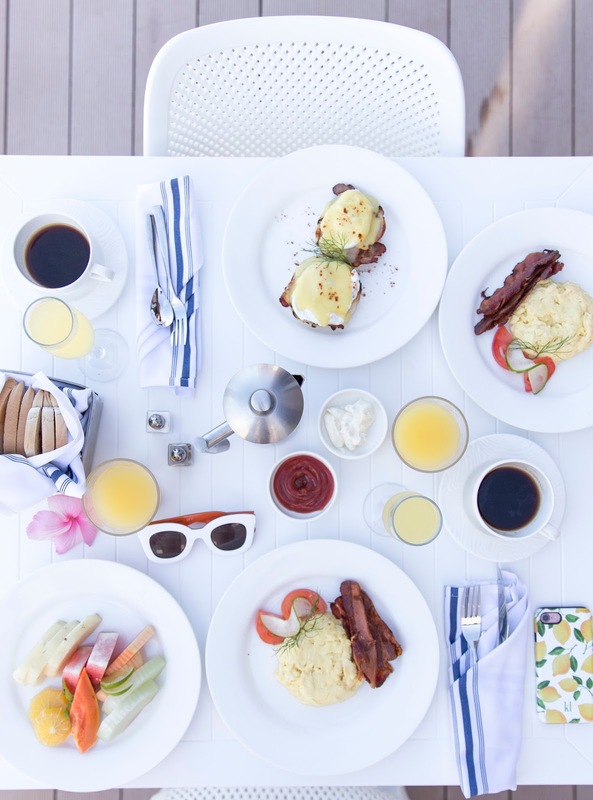 We enjoyed breakfast served on the patio every morning and sipped on cocktails while watching the sunset. And since disconnecting from the office wasn’t an option, I didn’t feel like I had to miss out when catching up on conference calls or email via WiFi from the patio. 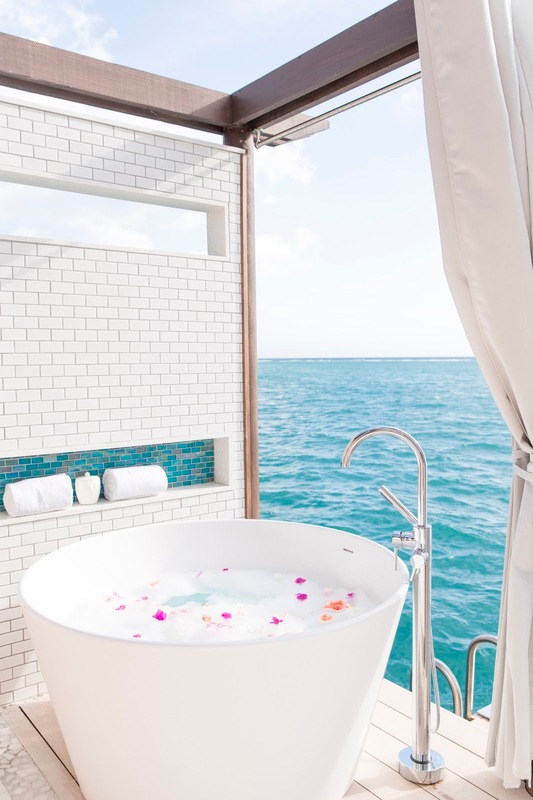 Oh and that tub? 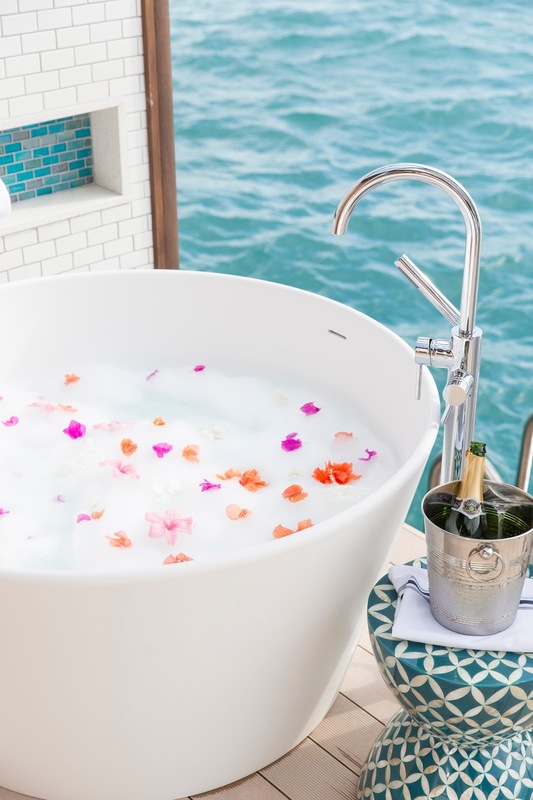 H-E-A-V-E-N. We came home one day after the beach to find the tub filled with an enormous amount of bubbles, rose petals and a bottle of champagne waiting for us. I mean, I can't make this stuff. 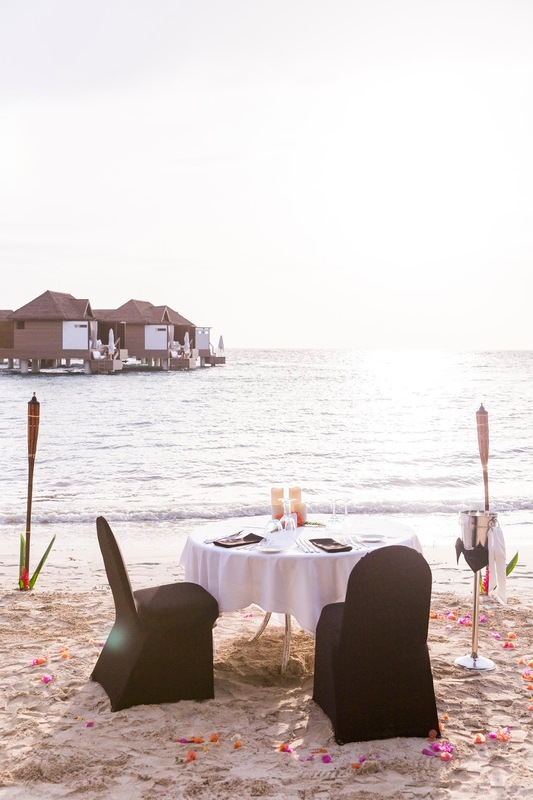 This place oozes romance! Not one to struggle with verbiage, I can’t help but describe the room and this view as magical, picturesque and breathtaking. We kept joking it was a total pinch me moment. Views and interiors aside, another amenity we loved utilizing during our stay with the room-specific cell phone our suite came with. 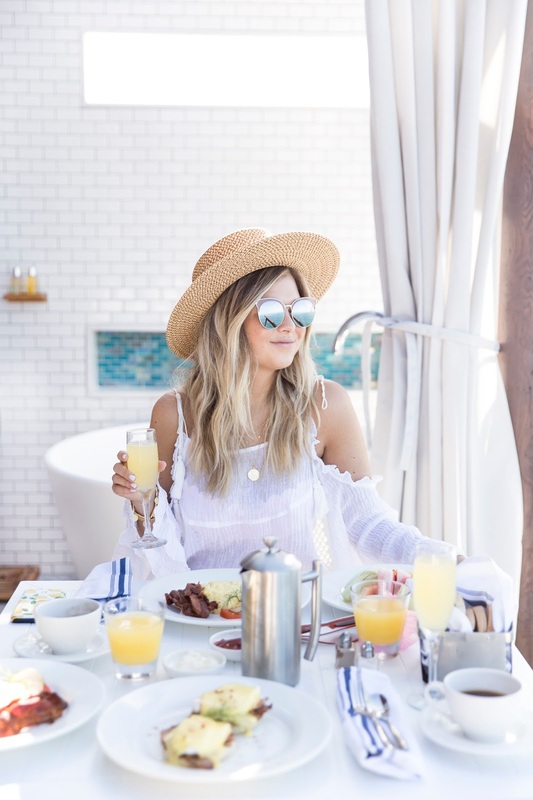 Whether it was requesting more Gin in our cabana, placing our breakfast order for room service the next day or securing a time at the spa – we could simply text Fabian or Tiffany any request – at any point in the day – and communicate anywhere from the property. 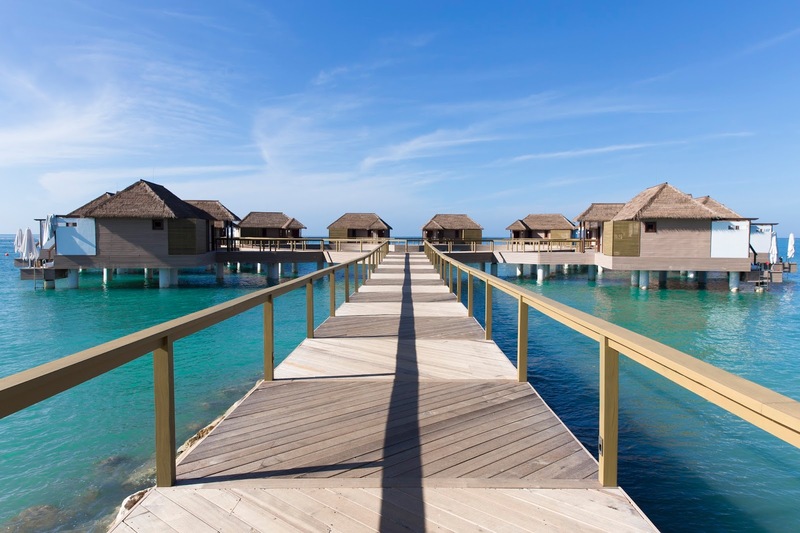 As tempting as it was to stay locked up in our bungalow, we were eager to explore what else the property had to offer. With a fresh gin and tonic in one hand and our camera in the other, we decided to trek up and down the beach to see what we could find. I’ll be honest, while the property doesn’t look to be that large from the outside, you really do grasp how much the property offers after a walk around the grounds. 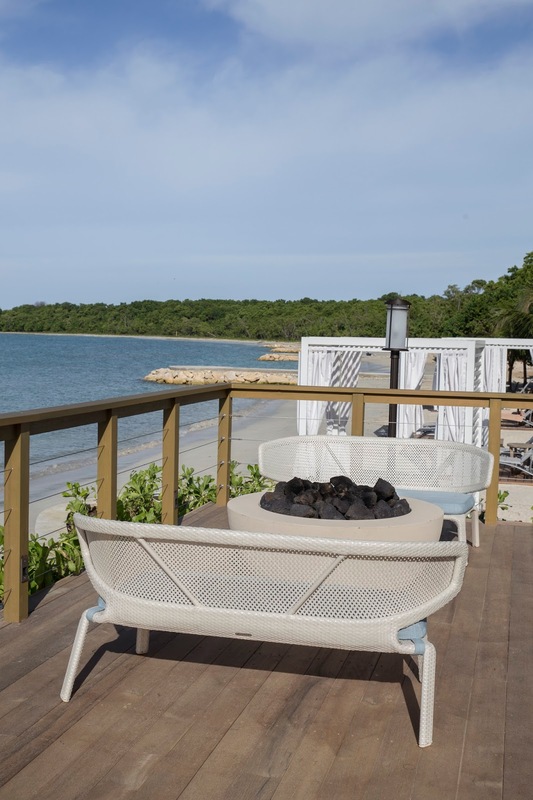 Sprawling across 2 miles of beach, Sandals South Coast recent renovation has injected new life to the property especially when all rooms (whether a bungalow or not) are all guaranteed to be beach facing. 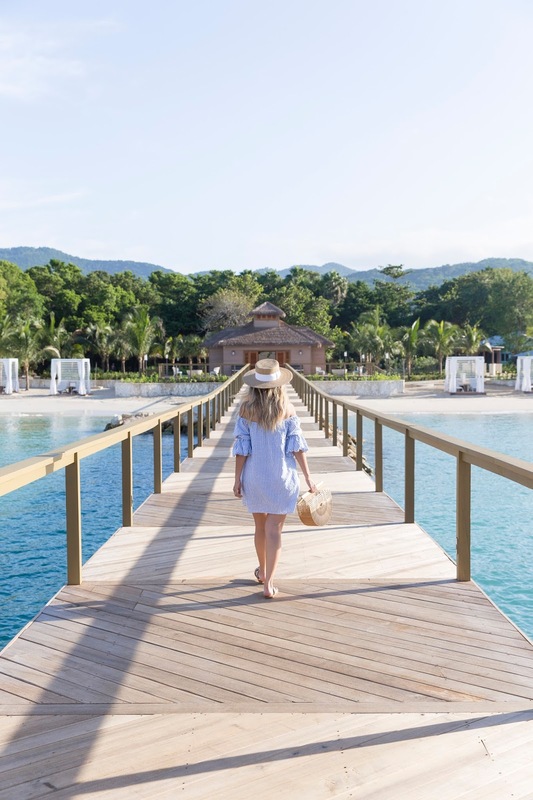 And much like you’d expect from a Sandals property, this particular location was packed with activities including snorkelling, knee boarding, tubing, paddle boarding and more. Let’s not forget the 4 pools they had on sight. 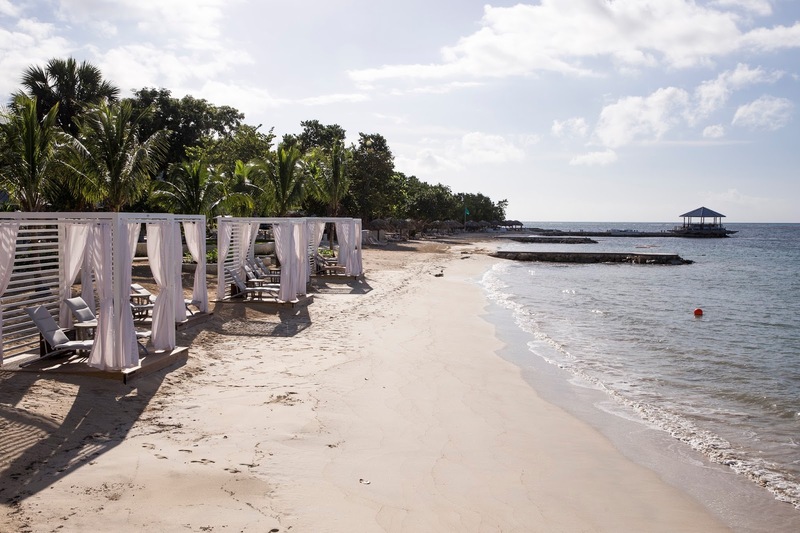 Located seaside, there were comfortable loungers set up at night with bonfires. We loved hanging here after dinner with a coffee and treat while cozying up by the fire. Each night a great show was put on at the amphitheater including a White Night where all the guests danced the night away in all-white attire. We had the pleasure of visiting the Red Lane Spa on our final day and oh-my-goodness was it ever a treat. We opted for the Blooming Jasmine Couple’s Massage and it was the perfect conclusion to our trip. 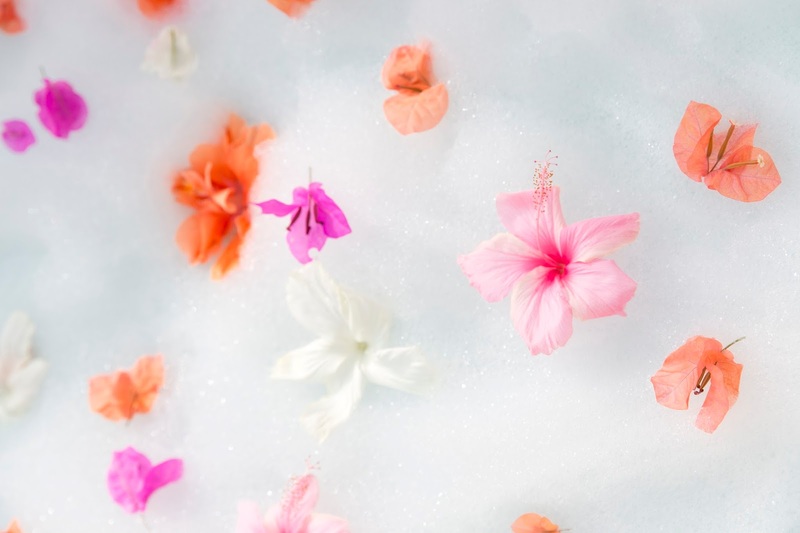 Not only were the staff super friendly but the setting itself was so picturesque with rose petals set out throughout the room and hints of jasmine spread throughout. 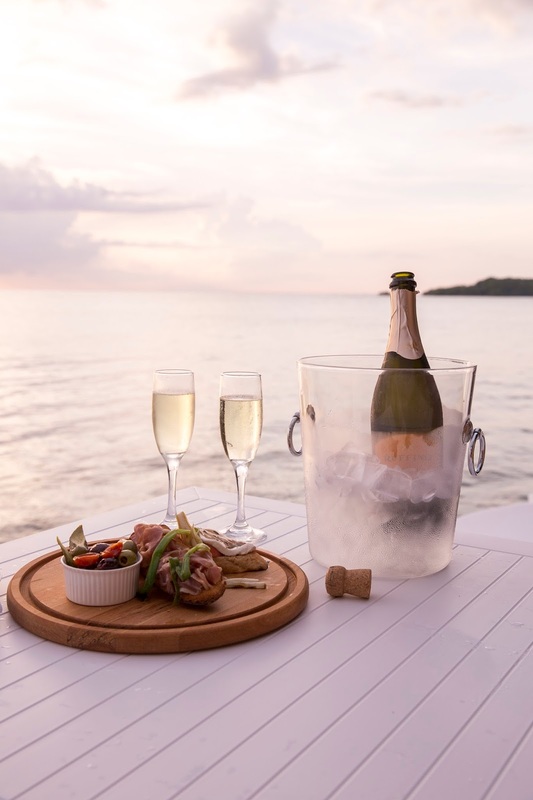 We finished with a bottle of champagne and a fresh fruit tray – heaven! And last but not least, the dining! 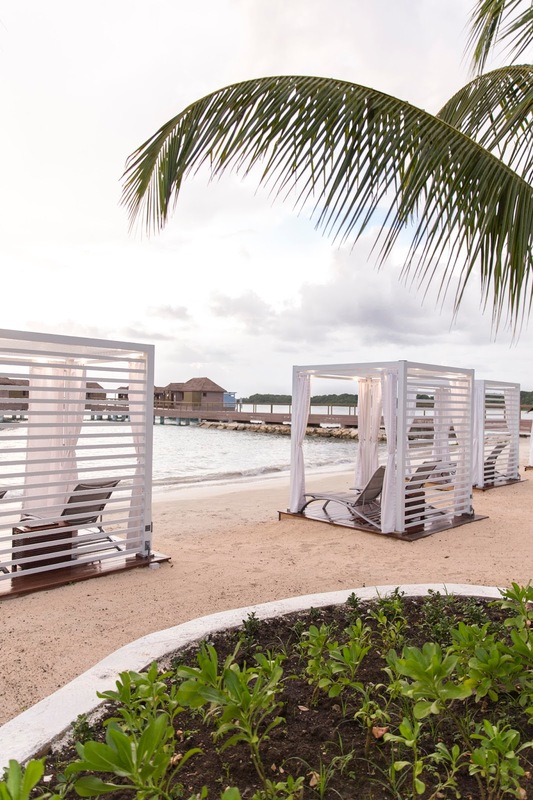 As mentioned, the entire resort is stocked with premium spirits and you’ll find this at the swim up bars, within the restaurants and at the over-water bar. 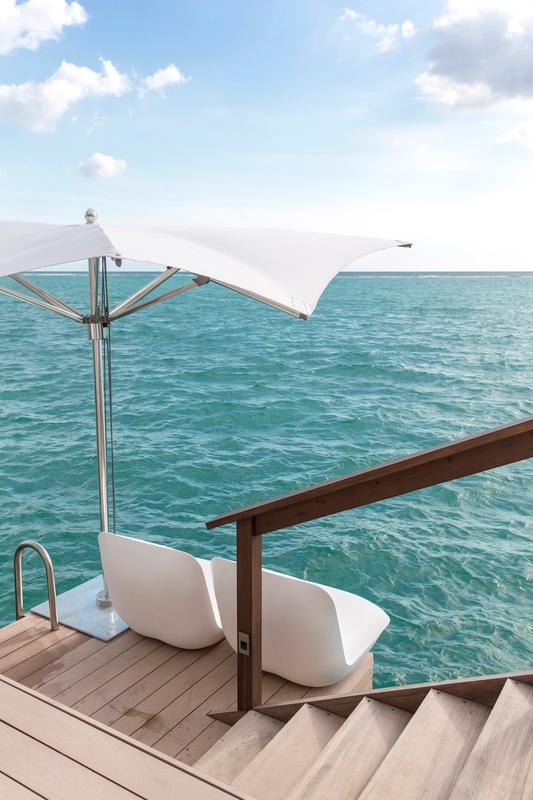 This hangout spot was situated at the end of a pier overlooking the water and featured hammocks you could swing away in while sipping on a drink. 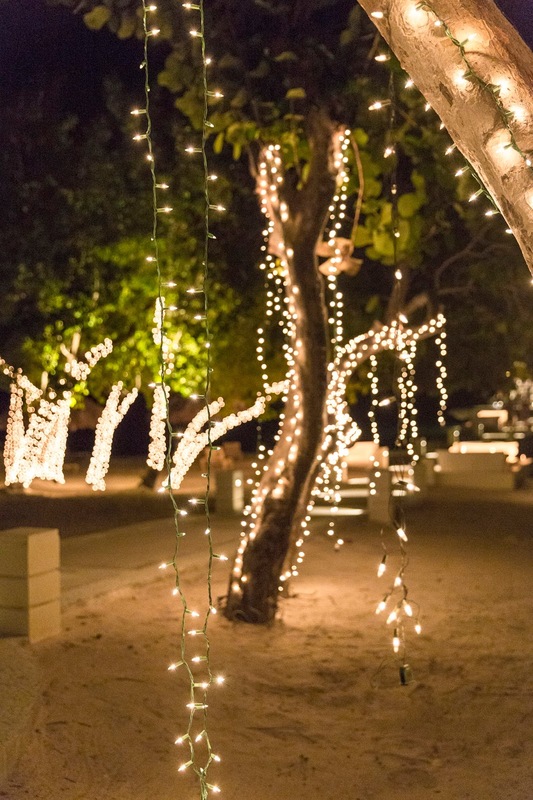 Often busy during the day, it was the perfect spot for a nightcap as the pathway leading up featured oversized trees lined with twinkle lights that just made for such a romantic setting. I was also pleasantly surprised to find Whispering Angel rose on the supplementary wine menu for a super reasonable price if you wanted something special for dinner one evening! 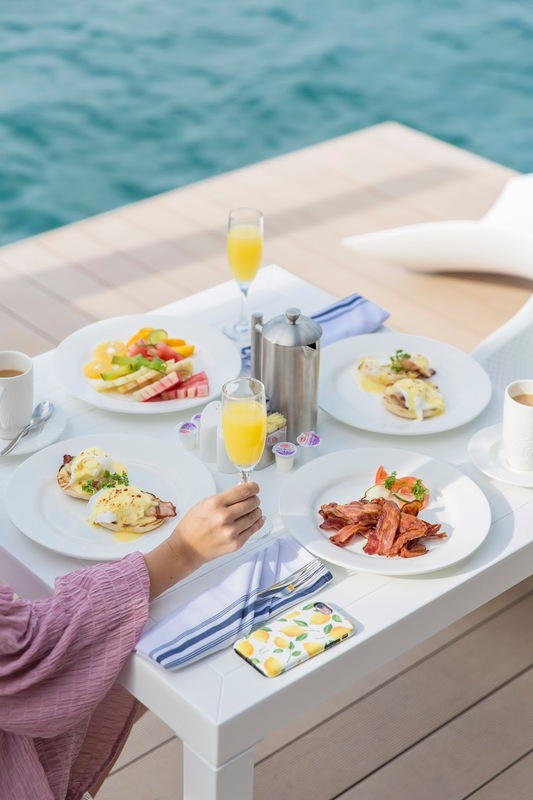 We enjoyed room service every morning with bottomless mimosas, fresh fruit, Canadian bacon and one heck of a cappuccino. 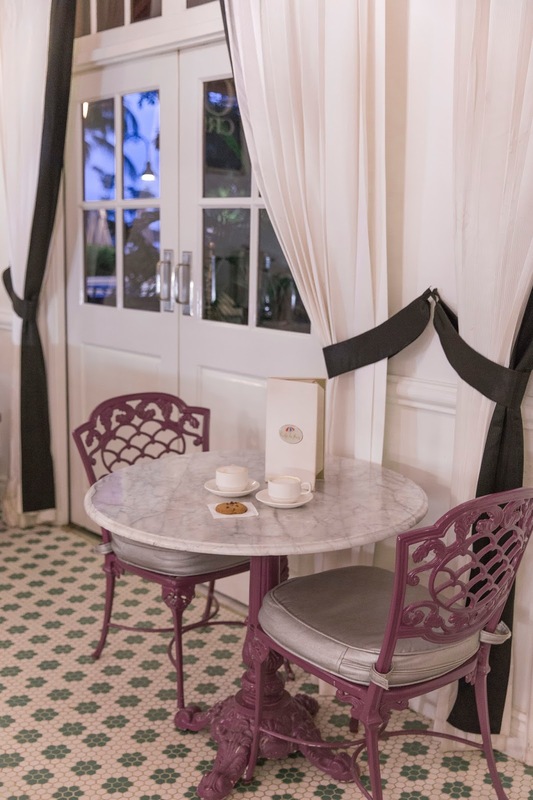 If we were looking for another dose of caffeine, we’d make our way to Café de Paris for gourmet coffees, croissants and the best crepes out of Paris. I’m slightly embarrassed to admit that we ate the same thing every day for lunch (because it was just that good!) from the Jerk Shack – Jamaican patties, jerk chicken, festival and Red Stripe. I HIGHLY recommend food from this spot if you visit and be sure to try both dipping sauces for the chicken. With a limited amount of time, Fabian recommended dining at Eleanor’s and Neptunes. Eleanor’s was certainly an upscale restaurant on site featuring various steak options whereas Neptunes offered seafood fare. The property has 9 restaurants in total so a week’s stay may make it difficult getting to each one – especially if you find a favourite! 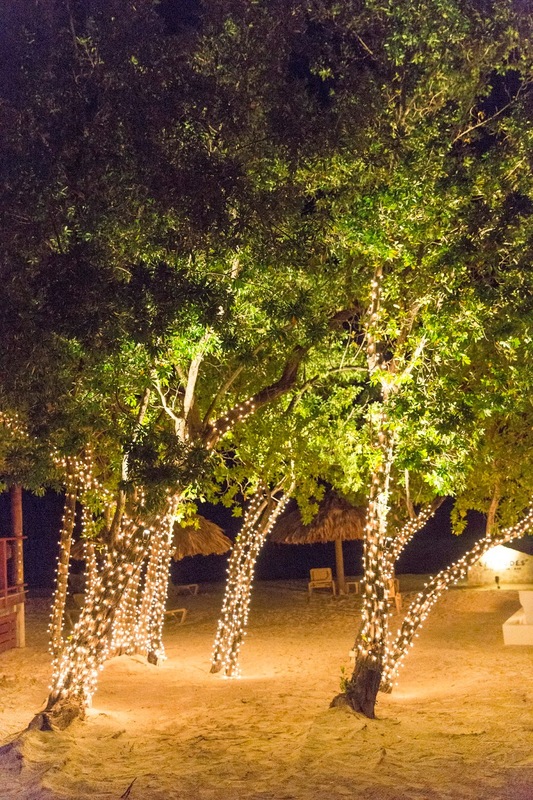 For our last night, we enjoyed a special treat- dining beach side with a candlelit dinner. Fabian worked his magic and had a table setup with 2 chairs, rose petals and champagne (he knew me all too well!!) as we watched our final sunset together. 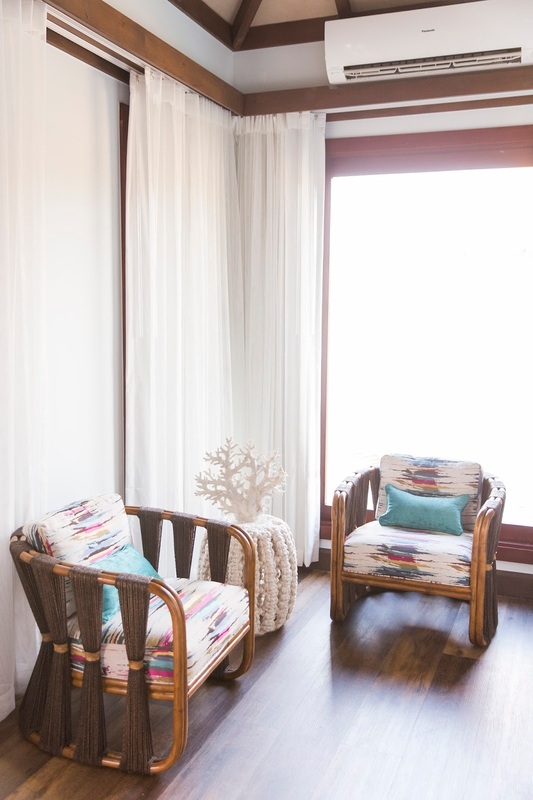 This property proved that the idea of staying in a dream resort no longer requires a 15+ hour flight with multiple layovers. 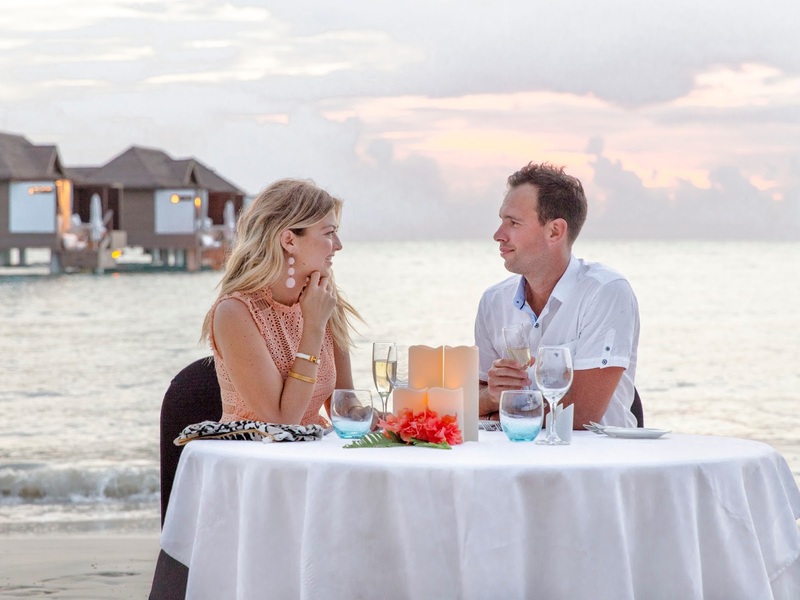 Sandals Resort has certainly worked hard on this specific location and others to accommodate for what the modern traveller is looking for: an unforgettable experience filled with a picturesque backdrop, modern accommodations, delightful dining options and more. 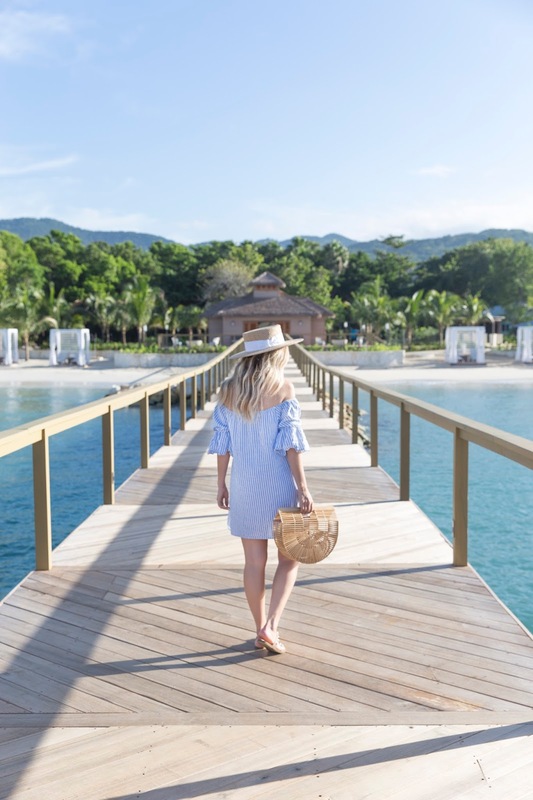 I would certainly recommend looking into Sandals South Coast for your next Caribbean stay - whether it's your first or second honeymoon! Love all of your outfits! Do you have links for them? Cowhide sandals are progressively proper for less easygoing events while elastic soles or Velcro terminations are the materials of decision for decently easygoing issues.